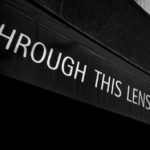 Through This Lens is a photography gallery nestled in the heart of downtown Durham, NC. Through This Lens aims to be a resource of photographic art in the Southeast. In addition, they offer books, cards, posters, custom framing, and custom large format printing.